On October 20, 2001, Jeralyn Hines had a terrible headache. Although her had 102 degree fever, the next morning, she went to work. Two hours later, Jeralyn’s head hurt so badly she could not think or see; her chest and back hurt and a coworker brought her to the emergency room where she discovered her fever was at 105. They thought she had meningitis but she did not; Jeralyn had had a urinary tract infection and e-coli which had spread to her lungs, causing sepsis. This, in turn, is what caused her ARDS, which was diagnosed two days later, when they finally took a chest x-ray. Although Jeralyn does not remember much about the next nine days, she was awake, but delirious most of that time. Unlike most ARDS patients, Jeralyn was on a C-pap, rather than a ventilator, and would not keep it on if she was left unattended. Jeralyn suffered horrendous dreams during this time. She thought she saw people living in the television set, was watching the TV though it was never on, and saw her son, who had passed away only eighteen month earlier telling her to fight for her life.After that, Jeralyn did. When she was released from the hospital, she was underweight and began to eat six meals a day, gaining too much weight. She did six weeks of pulmonary rehab post ARDS. She went back to work at an area hospital on January 21, 2002, only three months after she was hospitalized. Although she was tired, and at times it was difficult, she is confident that she can overcome whatever challenges she faces. 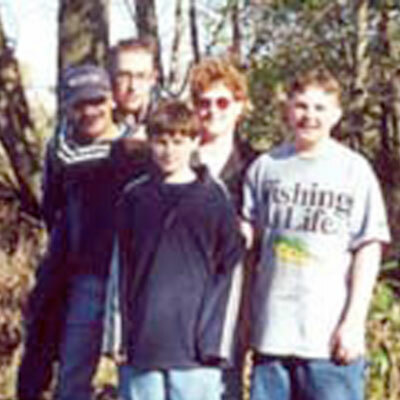 At forty years old, Jeralyn lives in Cental Indiana with her husband, Steve, and her four surviving children.